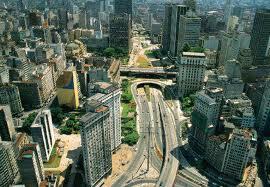 One of the most important Latin American business centers, Sao Paulo Brazil attracts many visitors annually. Here's a Sao Paulo map to give you an overview of the city. When you arrive at the Sao Paulo airport you'll need to have an idea of how you're going to travel around the city. Sao Paulo travel can be overwhelming if you want to drive while there but people who want to avoid the headache of learning to drive in a strange country can take a taxi, if desired. The Metro, a light rail system available to take passengers around the central districts of the city, is inexpensive when compared to taxi fees. Check out the 5 Best Hotels in Sao Paulo. Professional Sports Events - Soccer in Brazil is like football in the United States. Sao Paulo tourism has to include the soccer culture. The fans love it and have their favorite team to cheer for. Sao Paulo City has three Professional Soccer stadiums. Morumbi Stadium is Sao Paulo's biggest soccer stadium, and hosts the Sao Paulo Football Club. The Corinthians call Pacaembu Stadium home. Parque Antartica, where the Palmeiras Club plays, has been part of Sao Paulo soccer for over a century. The stadium, nicknamed Palestra Italia, was upgraded in 1933. Soccer is played throughout the year at one level or another. Ibirapuera Park - This is a wonderful place to get away from it all, for locals and visitors. It has to be on your To Visit list for Sao Paulo tourism. The beautiful lakes reflect the brilliance of the sunshine, while people relax and enjoy a picnic or just friendly conversation with one another. Bicycle paths are well-maintained, winding their way through the park and providing a safe place to ride and enjoy the beauty away from the Sao Paulo city streets. There is a roller skating rink, monuments, and scenery worthy of any grand park in the world. An open-air theatre offers a concert or musical performance at times. There are food vendors for those who get hungry and forgot to bring lunch. Ice cream is another offering at this spectacular park in Sao Paulo Brazil. Culture - There are over a hundred museums to visit, and theaters offering drama, musicals, comedy, and concerts exceed that number. The Teatro Municipal offers ballets, operas, and concerts. Liberdade, a huge Japanese community in Sao Paulo, has delicious Japanese cuisine, Japanese architecture, shops, and bookstores. There is a craft fair on the weekends. Visitors will not want to miss the Pinacoteca de Estado. The works of 19th and 20th century Brazilian artists are on display in this restored museum. The Palestra Italia, the Parque Antartica Soccer Stadium, hosts both national and international musical events. Shopping - Sao Paulo travel definitely has to include the shopping. The country's largest city, Sao Paulo Brazil is an hour away from the beach in Guarja. For those who want something to do besides visit the ocean, shopping seems to fit. Quite a crowd come for the bargains and the exclusivity. Prices and style range from extremely casual to top-of-the-line luxury, sold in markets, over forty-five different malls, and luxury shops and boutiques. Municipal Market - The large, covered Municipal Market in Sao Paulo Brazil has mangoes, bananas, lemons, avocados, and scores of other exotic tropical fruit for sale. Latin America, with its amazing production of fruits and vegetables, sells at home and around the world. Fish, plants, flowers, and even wine and household goods can be found. The displays are worth the visit, particularly the produce displays with their multitude of colors. Chances are good you will encounter a fruit you have not seen before while experiencing Sao Paulo tourism.